So I'm back to blogging after a few weeks away and I thought I'd start with something different.... If you don't know already I'm a bit of a Harry Potter Geek. I love the books and films and have even been to the Warner Bros Studio Tour (check out the post here). 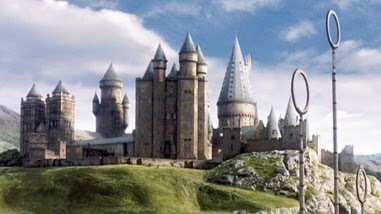 My next goal is to go to the Wizarding World in America. Anyway I was searching the internet and came across a few HP tags. So thought why not give them a go myself. I've seen 2 of these, one just a simple tag and another would you rather. So I'm gonna start with the simple one and maybe post the other in a few weeks. It's gotta be The Prisoner of Azkaban. I'm not sure why, I just enjoyed this one the best. I think it's because there's so much detail in it. 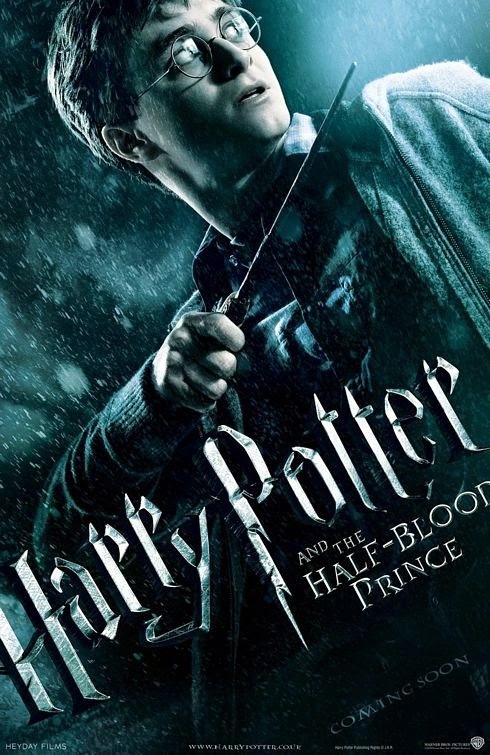 Without a doubt The Half Blood Prince. I've watched this one about a hundred times. It's such a bitter sweet part of the film but I can't help but watch it over and over again. You really begin to feel the different relationships between the characters. It's the one film where I felt a massive roller coaster of emotions as well. 3) Parts of the books/films that made you cry/emotional? There are two distinct parts that broke me down in the series. Ok maybe not broke me down but they definitely hurt me. When Dumbledore dies and when Dobby dies. No matter how many times I watch those bits over and over, I'll still feel the same emotions. Seeing Harry lose someone who was 'father figure' to him really made me hate Snape, even though I knew he had to do it. And Dobby? Well. 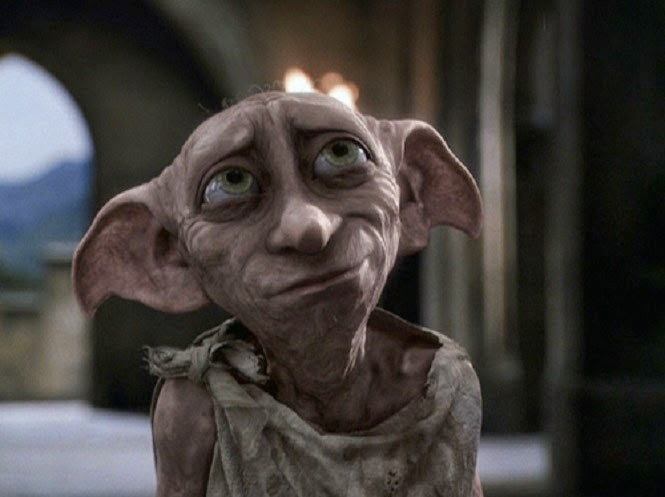 It's Dobby, I just love him. I just remember thinking 'he can't die.' He's too cute and cheeky to die. 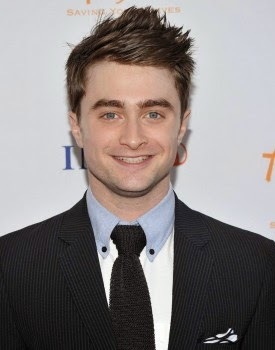 4) If you could 'hook up' with any HP character who would it be? 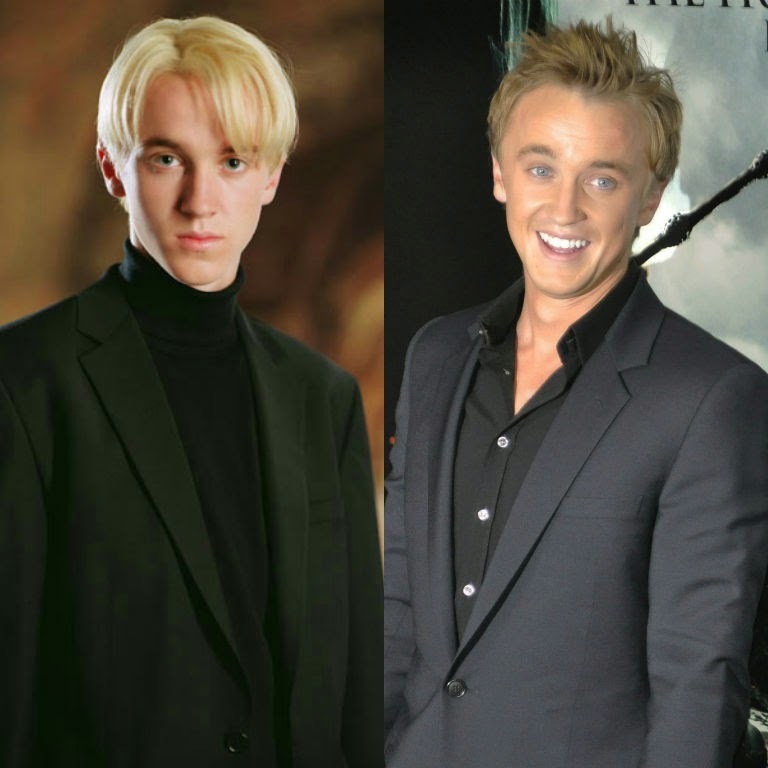 I'd have to say Draco Malfoy. Sorry, I'm crossing over to the dark side but I quite like that side of him. He's not evil just annoyingly mean. And lets face it, Tom Felton who plays him is quite good looking too. 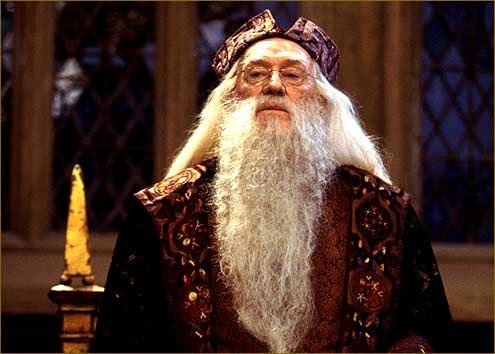 Dumbledore. To have his power, knowledge, his relationship with Harry.. All of his qualities in fact. 6) What would your Patronus be? Probably a hare like Luna's. I like cute fluffy things and I'm a bit crazy at times like her. 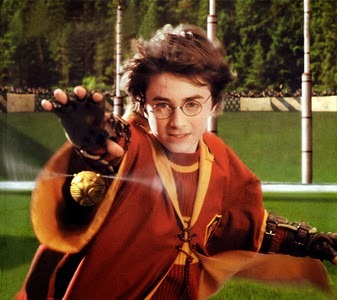 7) If you could have the Resurrection Stone, Invisibility Cloak or Elder Wand which one would you choose? 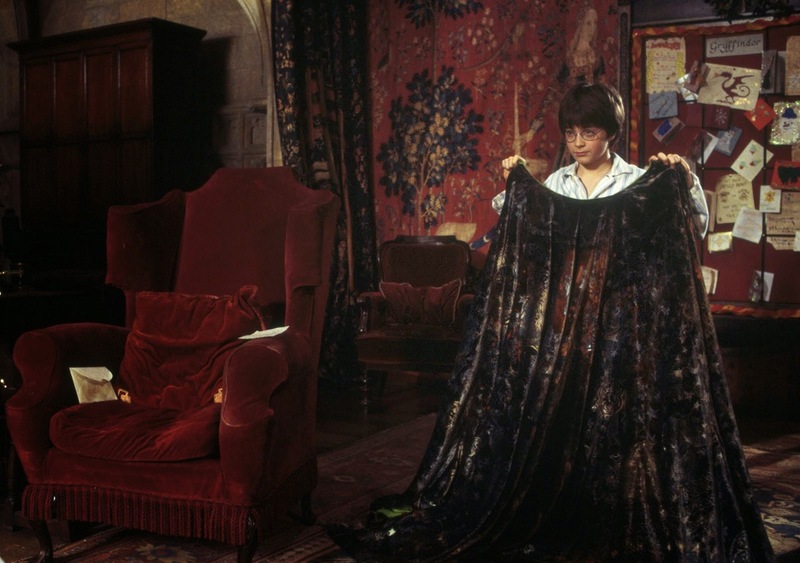 Invisibility Cloak. Simple, why wouldn't you want to be invisible? 8) Which house would you be in? 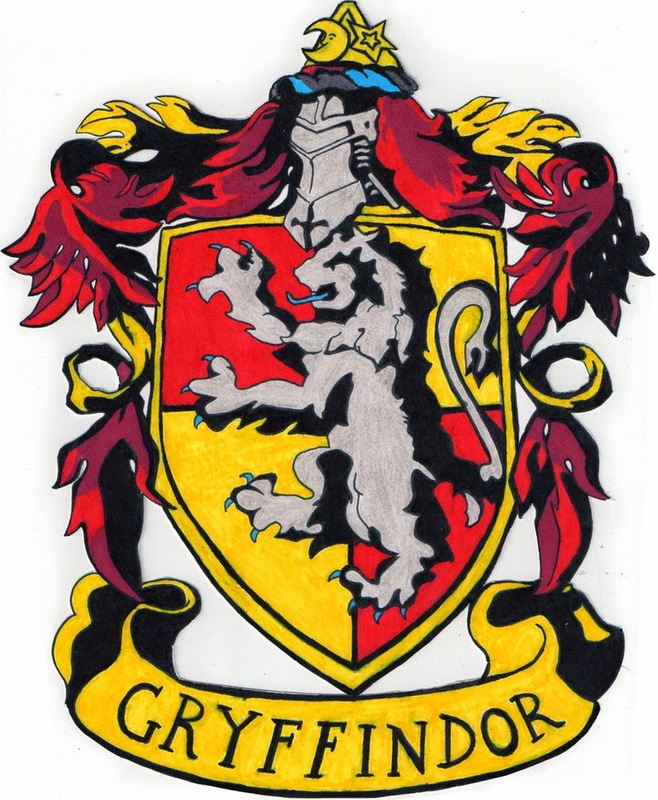 I'd like to think Gryffindor. I mean wouldn't everyone want to be in there. But I'd probably be in one of the others. 9) If you could meet any member of the cast who would it be? 10) If you were on the Quidditch Team which position would you play? I don't think I'd be very good at Quidditch but I'd like to think I'd be an ok Seeker. I'd be a rubbish Keeper as I hate being Goaley in Football and I'm not made to be a Beater. 11) Were you happy with the ending? Well Harry Potter won so of course I was happy. I wasn't happy that it had finished but I knew it had to one day. 12) What does Harry Potter mean to you? I know everyone says this but it genuinely was my childhood/teen years. I never expected it to become so big. I remember when the Philosophers Stone came out and my cousin bought it for me on video (yes that's how old HP is). I loved it from then and visiting the studios has made me become even more obsessed with it. It will always be a franchise I love. There you go, the Harry Potter tag. Done. 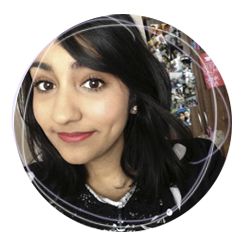 I hope you enjoyed this little peep into my HP love. Why not give it a go yourself or if you've already done it link it below :) Or if you've done any other tags link them as well. I'll give them a read.